Most airplane malfunctions leave the captain and flight crew able to at least attempt a somewhat controlled crash landing, but that was not the case with USAir Flight 427. One minute, everything was going perfectly, and the next, the plane had flipped over and was plummeting toward the ground, nose first. The pilot, Captain Peter Germano had been sipping a cranberry-orange juice and Diet Sprite drink 10 minutes before the crash, and then gave the cabin a standard weather report for Pittsburgh less than three minutes before the plane went down. It was a smooth flight all the way, and there were no anticipated problems. The pilots had no warning. Just 28 seconds before the crash, the pilots’ desperate exclamations are heard as the wings begin to shake and cockpit alarms sound. Germano says, “Sheez,” on the heels of three electrical clicks just before 7:03pm The Boeing 737-300 rolled to the left and dives. Germano breathes heavily and says, “Whoa,” as a thump and some clicking is heard. Another click is heard and Germano says, “Hang on.” The captain screamed and the co-pilot said, “God . 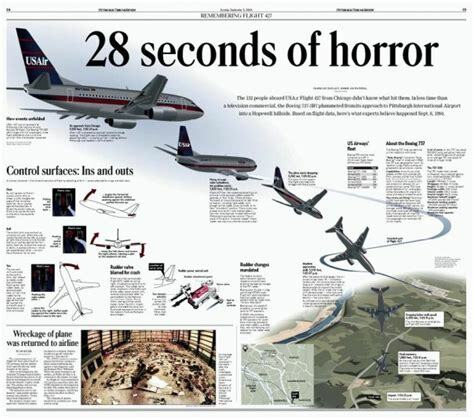 . . no!” as a USAir jet spun out of control and dove about a mile nose first to the ground, killing all 132 people aboard. The flight had been completely normal until the last 28 seconds. There was no time to fix anything, and they didn’t know what to fix anyway. “There is no indication that there was a criminal act involved in the crash,” one of the investigators said. There was no explosion. 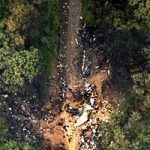 They began to look at things like turbulence on the Boeing 737-300…to whether the pilots had been properly trained to recover from trouble in the air. Among the areas of the plane to be examined was the possibility of a rudder malfunction. USAir has warned pilots of its Boeing 737s to watch out for spontaneous rudder movements during flights. The rudder is a large vertical tail slab that moves a plane left or right. 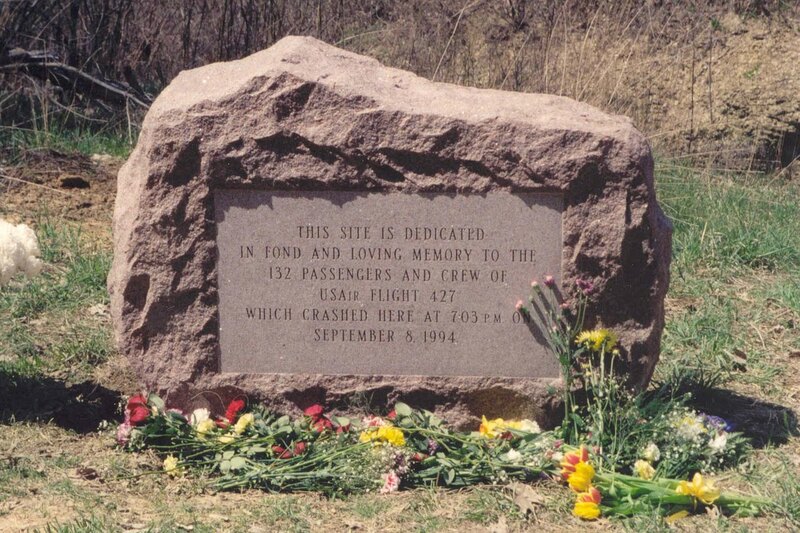 After USAir Flight 427, a Boeing 737-300, crashed outside Pittsburgh on September 8, 1994, Boeing claimed the crash, which killed all 132 people on board, was caused by pilot error. The pilots’ union claimed the Boeing 737 was defective. A series of clues unearthed through meticulous detective work pointed to a problem in that prior Flight 427’s power control unit, which is a hydraulic device that controls the movement of the rudder. Investigators zeroed in on a suspicious servo valve in the power control unit. One of the manufacturers recalled a failed test, in which, for a second or two the valve stuck. The test was called thermal shock, and involved injecting hot hydraulic fluid into a valve that had been frozen to -40° to simulate the temperature in flight to the worst case scenario. At one point, the test failed, and then after the valve was adjusted, it passed. With the valve-in-a-valve system in the 737, it was expected that if the outer vale failed, the inner valve would compensate for the failure by injecting more fluid to bring the rudder back to the neutral position. But as an analyst named Kitka studied the squiggly lines for the return flow now, he saw dips that were not supposed to be there. When he matched them to another graph showing the force on the levers inside the PCU, he made an alarming discovery. When the outer valve had jammed, the inner valve had moved too far to compensate. That meant the rudder would not have returned to neutral, the way it was supposed to. The rudder would have reversed. That could be catastrophic, and in fact, it was. A pilot would push on the left pedal, expecting the rudder to go left, but it would go right, causing the plane to flip over and nosedive into the ground in a matter of seconds, with no possible fix on the part of the pilot and crew. There simply wasn’t enough time to fix the problem, and no way to do so anyway. Of course, the planes were grounded until they were fixed, but for the passengers and crew of USAir Flight 427, it was too late. They don’t want to accept the blame. Thank you for posting this! I recall this disaster like it was yesterday. I can’t believe it took the NTSB 5 years to determine the cause. 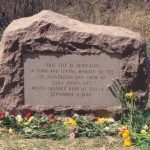 3 years before this crash, a united airlines 737 crashed in Colorado Springs in a nose dive, which was caused by a rudder malfunction. It was flight 585. Thank you very much for taking the time to post this. You’re welcome, Jerome. But, I’m curious why you remember it like it was yesterday. Did you know someone on the flight. It’s very hard to lose someone in a plane crash. My great aunt was killed in the crash of Flight 232 in Sioux City, Iowa. You really never do forget it. I watched the footage over and over, somehow hoping the outcome would be different. When the news first aired the survivor lists, my great aunt was listed as surviving. It was a great relief. Then we found out it was a mistake. Her purse somehow went to the hospital with another woman. We were brokenhearted. Thank you for the reply! The reason i remember this disaster was at the time i was interested in becoming a pilot. i recently ordered three books on this crash because i would like to know what made the rudder jam. i can’t believe it took almost five years to uncover the truth. I know. That’s is sad to think that things like this can happen and no one know the reason for years. I recall united airlines flight 232. Captain haynes did everything he could do. Im sorry for your loss. Happy holidays to you and your family. Thank you. It was a really devastating loss, but I have watched the footage many times, and he came so very close to landing it. He was an amazing pilot, and I can’t fault him for any of it. I have read two books on this crash, and it is still a mystery. My question is, what made the outer valve the size of a pop can jam? I agree. Some mysteries are too strange. Do you remeber northwest flight 255? I almost witnessed that crash! How did a well experienced flight crew forget to set the wing flaps and peform the taxi checklist?